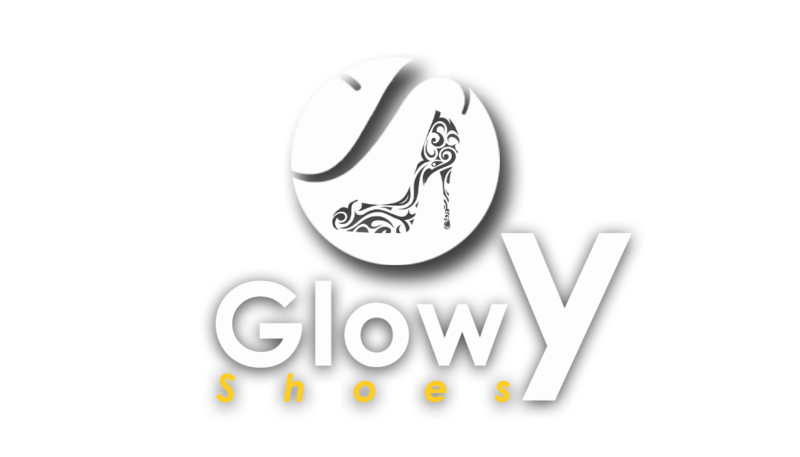 Glowy: Manolo Blahnik & Rihanna Collaborate On Shoe Collection. 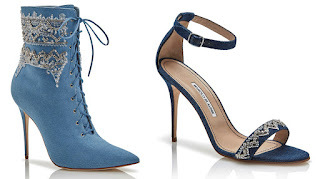 Manolo Blahnik & Rihanna Collaborate On Shoe Collection. After debuting a collection for Puma at New York Fashion Week last month, Rihanna now has a very different footwear collaboration in the works — with none other than Manolo Blahnik. 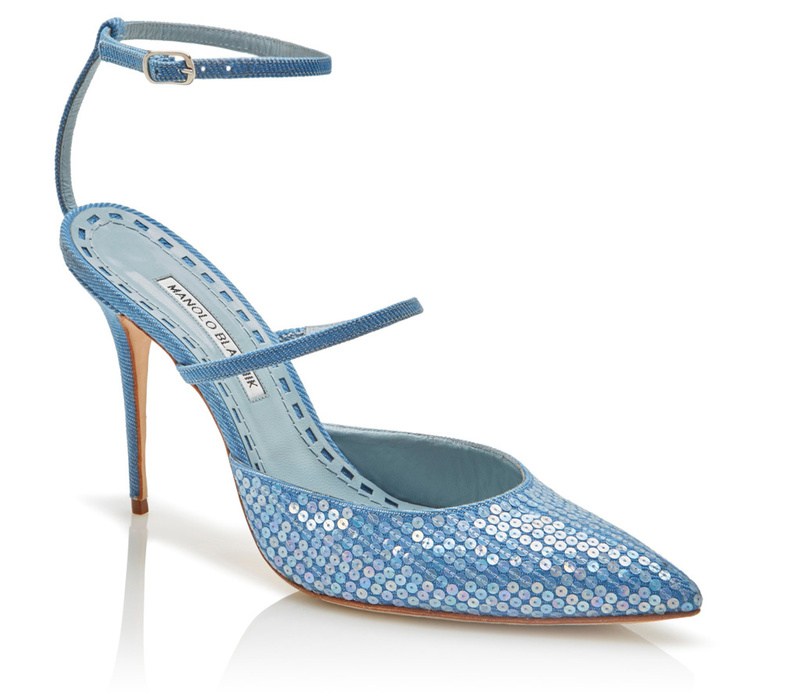 The denim-driven collection, Rihanna x Manolo Blahnik, will debut May 5. It features sequins and embroidery influenced by Rihanna’s hand tattoos. They appear on designs including thigh-high boots and an open-toe sandal. The limited-edition capsule collection includes six styles, a selection of sandals, pumps and boots. Prices range from 541.67 pounds, or $767, to 2,458.33 pounds, or $3,483.50. The collection will be sold at Manolo Blahnik’s stores in London, New York and Hong Kong. 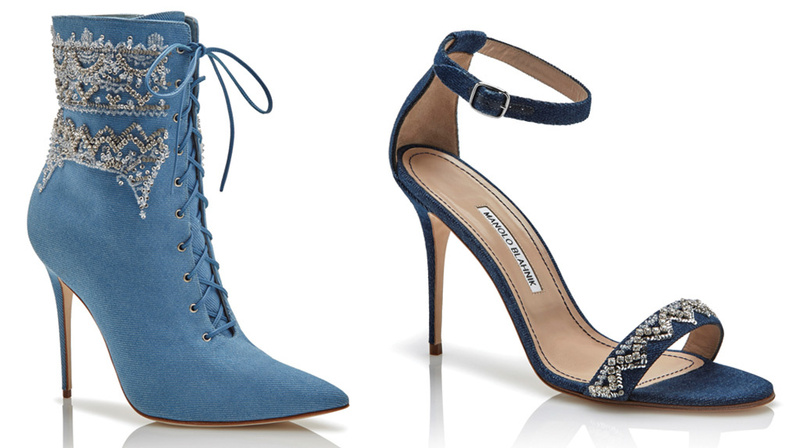 Two styles from the Manolo Blahnik x Rihanna collection. 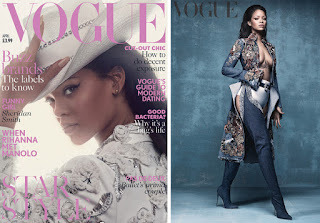 Manolo Blahnik and Rihanna snapped while collaborating together. 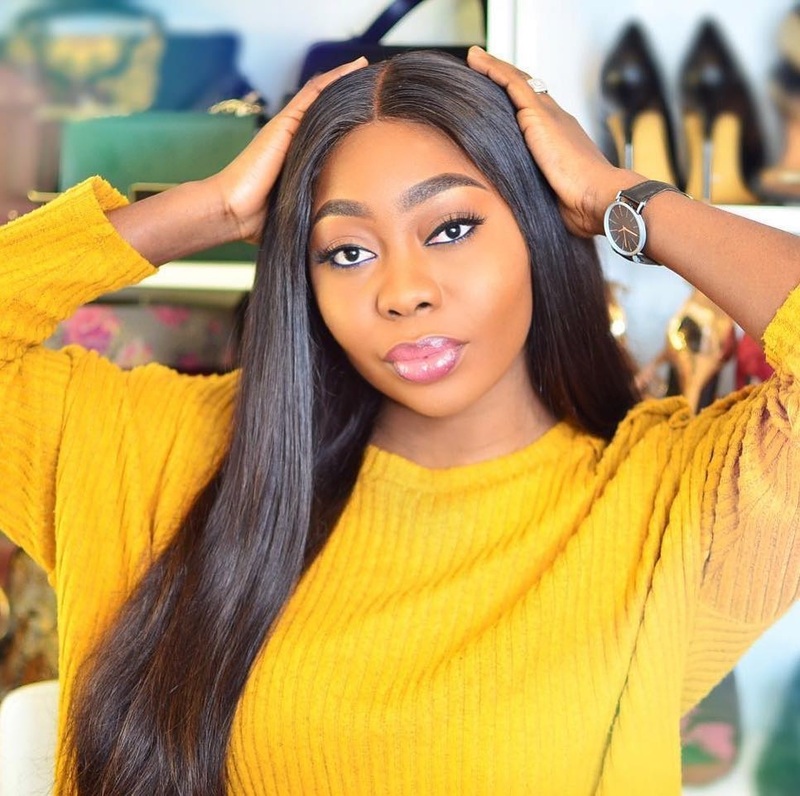 “The day I see a woman in the street wearing my shoes…I am sorry for that woman because I’m going to literally run after her, shouting, ‘Stop! Selfie! Who are you? Where did you get them?’ I’m going to have a moment!” said Rihanna. Separately, Rihanna will appear on the cover of British Vogue’s April issue, which hits newsstands next Thursday. The cover was photographed by Craig Dean and styled by Kate Phelan. She’s wearing a denim Alexander McQueen coat, Isabel Marant knitted hot pants, and denim chap boots from the Rihanna x Manolo Blahnik collection. Everything about Riri is gorgeous. Love the concept. I can't wait to have my dream closet of shoes.